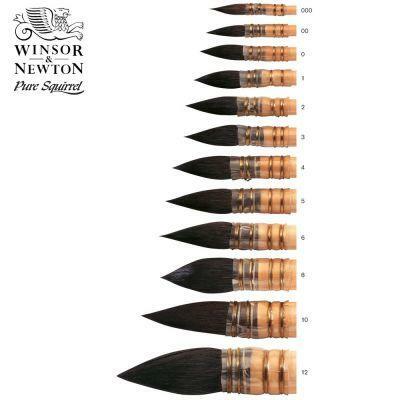 This new pointed wash brush is made from the finest quality pure Russian Blue squirrel. 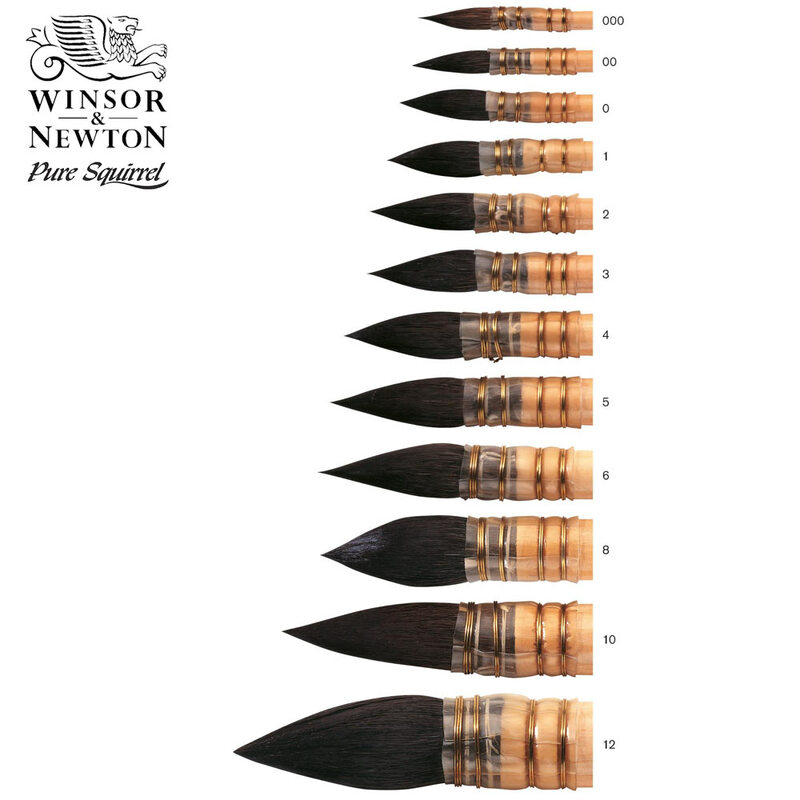 Points beautifully and ideal for watercolour "wet-in-wet" techniques, washes and fine detail work. Also ideal for gouache, silk & fabric painting and inks. Clear varnished wood handle. 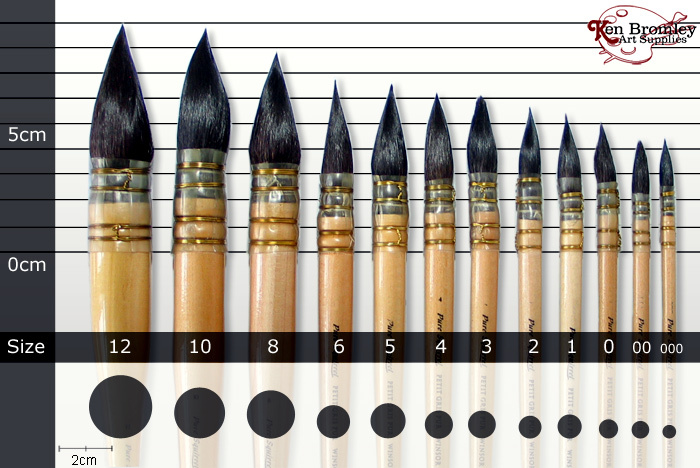 Similar to the Isabey Quill brush in appearance and sizes. Excellent quality. Beautiful brushes and great value!